The CSF Leak Association is now open for membership! We are absolutely thrilled to announce that, after months of hard work by our dedicated band of volunteers, the CSF Leak Association is now open for membership. 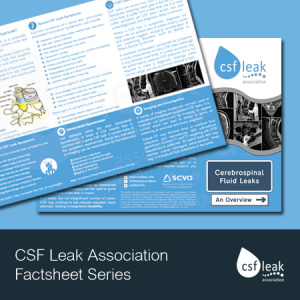 As a small charity with big ambitions, our aim is to provide information and support to all sufferers of cerebrospinal fluid (CSF) leaks, their family, friends and medical advisers, as well as securing clear and consistent patient pathways for the diagnosis and treatment of CSF leaks. As a membership organisation, we rely heavily on the fantastic support and generous encouragement of our supporters in the work that we do. Without this dedicated help, we could not function and would be unable to continue to raise awareness of cerebrospinal fluid leaks and push for positive change. Whether you’re an individual or an organisation, based in the UK or further afield, if you share our aims and objectives and benefit from the work that we do, why not join us and get involved?